There is usually something lively happening at Target Field. It accommodates big events and showing up to one of them is guaranteed to be a high point of your break. It's just one of the many attractions that makes the city of Minneapolis - St. Paul so popular. If you're looking to find a room right in the middle of things, you'll have plenty of options. 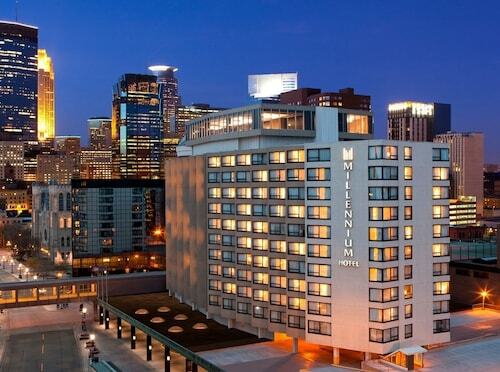 There are about 25 hotels and other accommodations within the vicinity of Target Field. 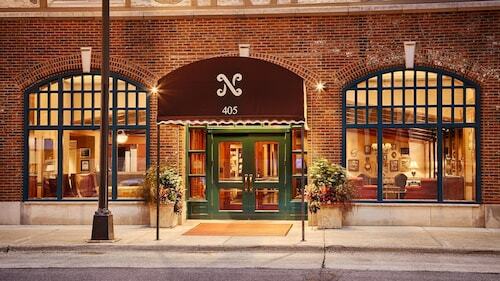 The Hotel Ivy, a Luxury Collection Hotel, Minneapolis, 0.7 miles (1.1 kilometer) away, is one place to start. 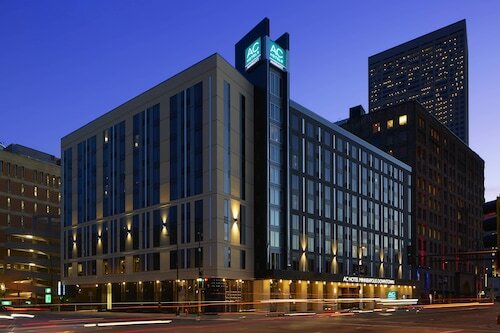 You may also like to have a look at the Residence Inn By Marriott Minneapolis Downtown, just 0.4 miles (0.6 kilometers) away, and the Loews Minneapolis Hotel, only 0.2 miles (0.3 kilometers) away. If you're the kind of person that feels totally fine with basic but clean furnishings, you can get a room at one of the few bargain hotels in the surrounding area. A couple of recommendations are the Days Inn Hotel on University and the University Inn. Savvy wanderers tend to enjoy the inspiring surroundings at one of the many deluxe establishments in the area. 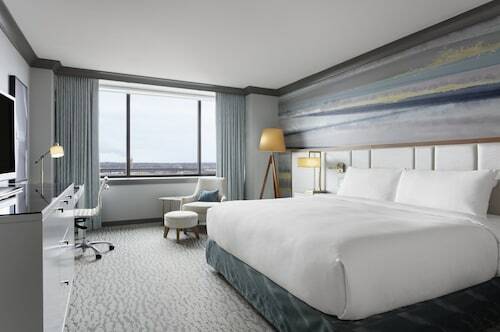 Highly endorsed are the Radisson Blu Minneapolis Downtown and the Kimpton Grand Hotel Minneapolis, a mere 0.3 miles (0.5 kilometers) and 0.5 miles (0.8 kilometers) away, respectively. After a big day of exploring, make sure you stop by Woodson Coffee Co (430 North 1st Avenue #101, Minneapolis), where you'll find enticing sweets, great service and superb coffee. Your belly will thank you when you indulge in a meal at The Executive Lounge, 418 North 3rd Avenue, Minneapolis. The performances, artistic exhibits and other events offered by Hennepin Center for the Arts are adored by the local creators and viewers. Support the local arts scene and attend a play at New Century Theatre. Spice up your date nights and taste the local theater scene. Skyway Theatre puts on various plays which you can attend. Avid and casual readers alike should not miss out on browsing the shelves and exhibits at Minneapolis Public Library-Central Branch, a popular local library. Ensure that you contact the library first for information on hours and visiting. Broaden your cultural experiences and buy tickets to see a play at State Theatre. When you've done enough exploring, get on the train at Target Field Station, 0.1 miles (0.2 kilometers) away from Target Field. How Much is a Hotel Room in Target Field? Hotels in Target Field start at $89 per night. Prices and availability subject to change. Additional terms may apply.